By uncovering the process that gave rise to the famous Gospel stories, David Catchpole opens a door into each writer’s distinctive world of conviction, faith, struggle, and controversy. 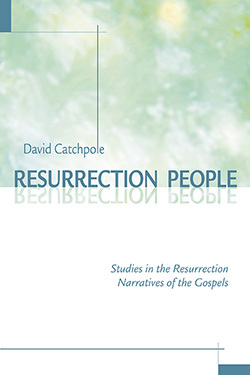 Catchpole shows that the characters of the resurrection narratives — Jesus himself, the women and men, the ecclesiastical heavyweights, and the "nobodies" of Christian history — embody issues which affect the "resurrection people" of any time, including our own. David Catchpole is Professor and Scholar in Residence (New Testament) at Sarum College, Salisbury, England. He is the author of The Quest for Q.